Close deals faster within Quip. 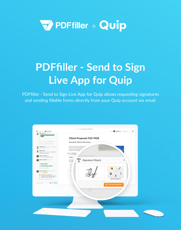 Negotiate contracts, agreements and proposals with your customers and business partners and send them out to be signed inside Quip with the PDFfiller - Send to Sign Live App. 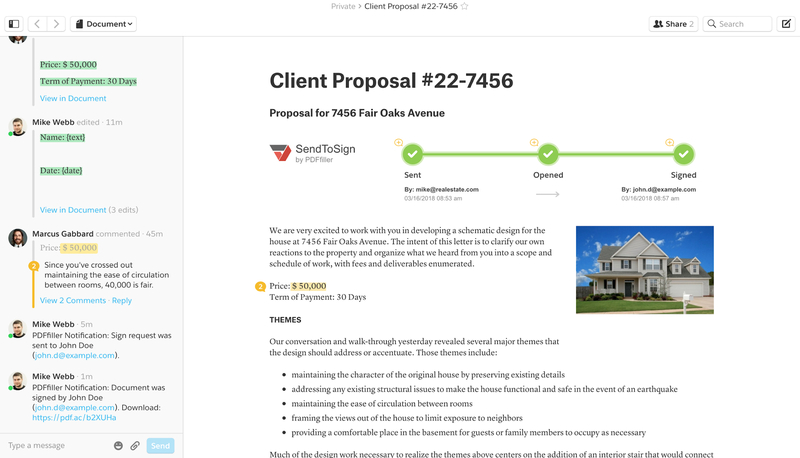 Track the status of a document in Quip and quickly react to any changes. 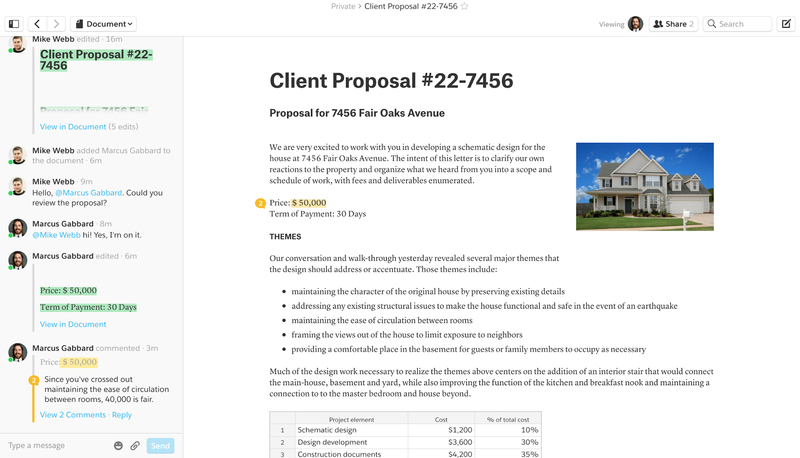 Discuss the terms of contracts and agreements, annotate and edit versions of the same document as many times as needed inside Quip. 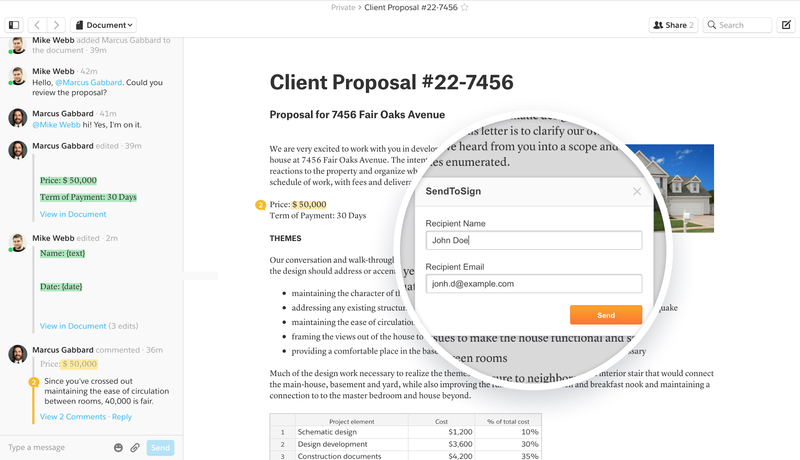 Turn any Quip document into an interactive fillable form with signature, text, number, date and checkbox fields. 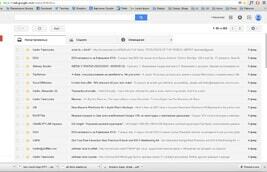 Track each stage of a document’s status and leave feedback for your colleagues along the way. 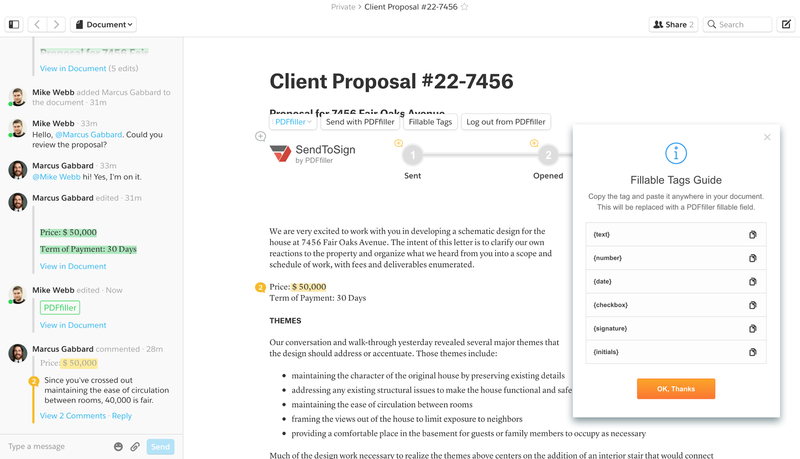 Get the link for a submitted document right in Quip.